EasySlots brings you another Fluffy Favourites adventure, as they are back with this instant winning version, featuring some more loveable furry friends from the animal kingdom that could help you win some extravagant jackpots. A small minimum bet and a maximum multiplier that’s out of this world ensures a chance for all players to not only pick up some new toys but also a lot of cash. And win it instantly, view more. Developed by Virtue Fusion and Playtech, together they have created a colourful slot game that has a cute and cuddly charm. Revamped a touch from a previous model of the game, this one looks less like a children’s TV show from the 1970s and more like a free-flowing, very functional game. With a minimum bet of just ten pennies, this game is very accessible to even new players. Massive jackpots mean that even seasoned slot game user will fancy their chances on this cuddly adventure. Easy Slots offers you all of this developers hottest games. Wins in this edition of Fluffy Favourites are determined by the number of animals you match and what type they are. For example, landing the yellow duck is going to land you a multiplayer of 50. However, at the other end of the scale, getting yourself 15 purple hippos will pay out an enormous multiplayer of 10000! Yeah, you read that right. It means that by playing Fluffy Favourites Bonus you can win up to £1000 with a 10p wager. If you’re up for a £15 bet, your maximum win, therefore, is a mouthwatering, hippo-dancing, duck-chasing, £150,000. 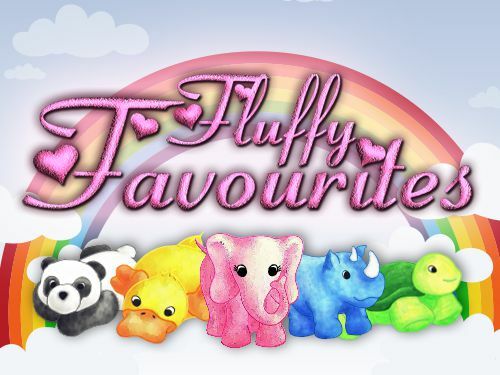 Unlike other instant win games, Fluffy Favourites Bonus has two features. For example, if you get three or more free games together on the grid then you can collect x2, x4 or x6 free plays. Secondly, revealing six toy clusters in one game will grant you access to a bonus round where you can play one of two games. The first bonus game involves you picking toys from the 10 displayed. A prize is won when you make a pick, however, if you reveal the word ‘collect’ or reveal five prizes, this bonus round will end. New boxes are added until that point, so make the most of these whilst you can. The free games crop up from time to time, too, with varying prizes being the result of them. As expected with such a small entry bet yet high jackpot, these prizes can range from the underwhelming to the overwhelming, so expect to be on the edge of your seat as those animals roundup. There are more general Easy promotions free spins slots here. This is a fun game involving familiar icons from the Fluffy Favourites outlet. With many other instant games costing around a pound to play, this is great value for a minimum of 10p a play with that aforementioned big jackpot on offer. 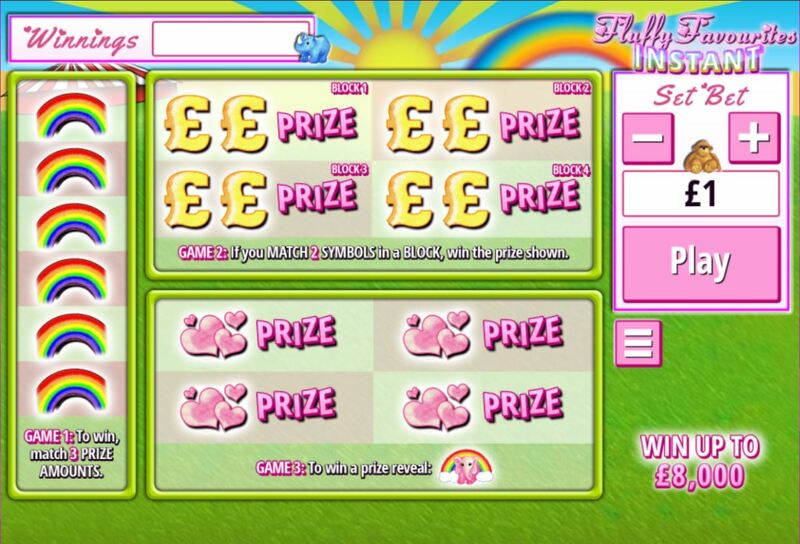 If you enjoyed Fluffy Favourites Instant why not try other popular online slots. click here!